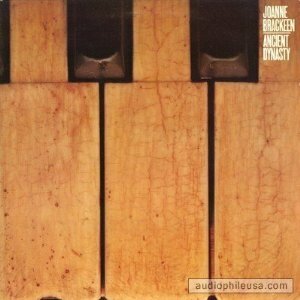 – I’ve been listening to the all-star quartet led by Joanne Brackeen on her 1980 release Ancient Dynasty: Eddie Gomez, Jack DeJohnnette, and Joe Henderson. The title track has a little of everything – a theme with distantly related triadic harmonies; a small hint of fusion a la Return to Forever; some straight ahead passages shading into high-energy free blowing – but it all hangs together convincingly. It appears to not have been reissued on CD, or at least isn’t presently available – it really should be. – Pat Spencer, flutist from the Da Capo Chamber Players, offers Stockhausen (U.S. premiere), Korde, Chen Yi, Georgescu and Musgrave in a March 2 concert at Merkin in NYC. The instrumentation includes tabla, piano, bass clarinet and there will be a “sound projectionist” presumably taking the role Stockhausen used to perform. Are there any links to download this unissued album from? It is not unissued, it is simply not reissued. In any event, it is not available for illegal downloading!